Doctors order bone scans related to a number of conditions and complaints, including Paget's disease, bone cancer, cancer that has (or might have) metastasized, joint infections, joint replacements and unexplained bone pain, according to the Arizona Health Sciences Center. If white spots show up in the scan, they can be a sign of one of these conditions. 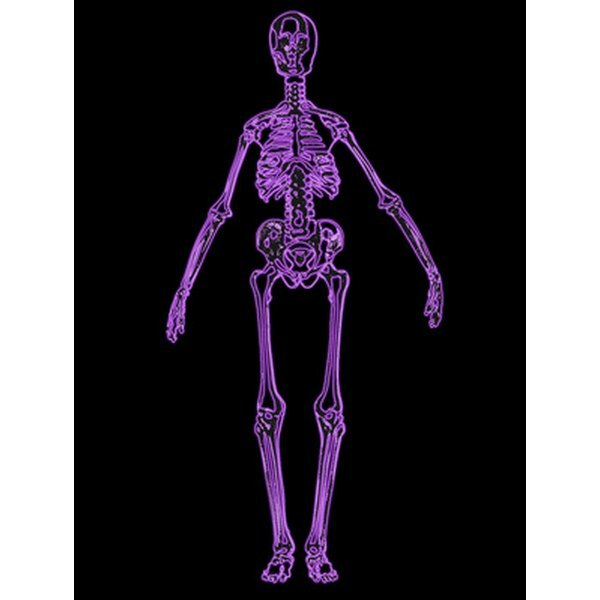 If a bone scan comes back with white spots it means your bones are not metabolizing properly. This can indicate a bone tumor, a fracture, infection, metabolic disorders or cancer that has metastasized to the bone from a tumor that started somewhere else, according to the Mayo Clinic. While bone scans are very good at finding where bone problems lie (as indicated by the white spots), it is often not possible to determine the cause of the problems without further tests and/or a full patient medical history, according to the Mayo Clinic. A bone scan that reveals white spots will often lead a doctor to order further imaging tests including a computerized tomography scan or a magnetic resonance imaging test. The doctor might also order a biopsy of the bone to test for cancer. Despite the alarming sounding radiation injection, bone scans are quite safe, according to doctors at the Arizona Health Sciences Center. There is very little radiation, and it is easily metabolized by your body in the days after the procedure. Even if the material does collect in the bones, indicating a problem, it will still eventually dissipate. There is, however, a risk to pregnant women, who should not undergo bone scans unless the risks of not doing so outweigh the risks to the fetus. The radioactive material can cause birth defects.